So Thanksgiving is coming. Don’t get your knickers in a twist, folks, it’s just one meal. For those of us who managed to cook nine banquets for each of three holidays back in September, Thanksgiving is a snap. Of course, I’m not factoring in your picky Aunt Zelda who will be coming to your Thanksgiving feast. That might change the equation for you, making it as challenging as the holidays. But except for that, remember that this time you have no Shabbat/Yom Tov cooking restrictions, so the advantage is with you. 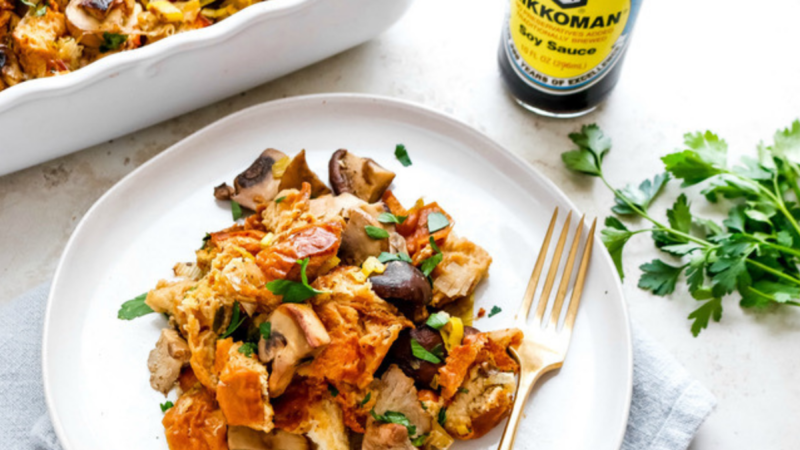 Everything can be served straight from the oven and stove top with no creative warm-ups necessary. Now that’s something to give thanks for! I know some people have been planning their Thanksgiving menus for weeks now, but they’re obviously not hooked into our way of doing things. You don’t have to fuss. Really. 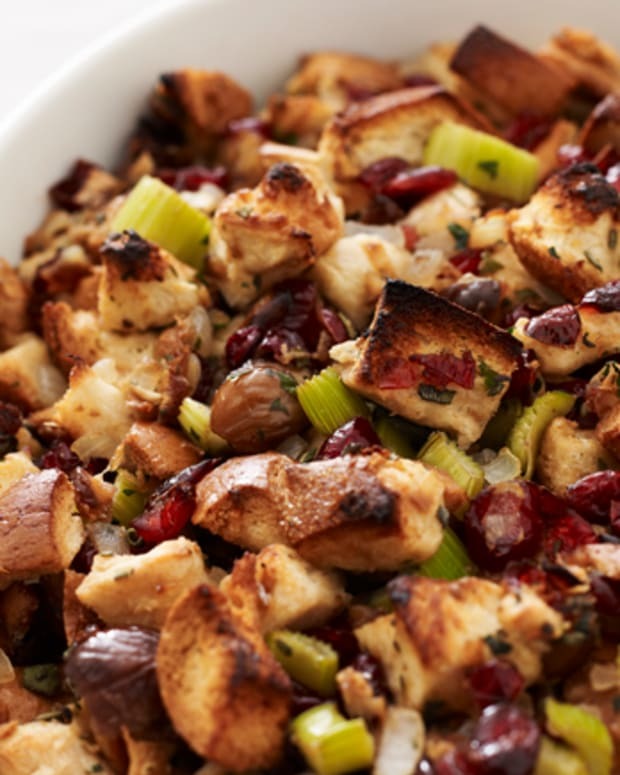 That’s because I’m going to share tons of recipes and menu ideas with you for Thanksgiving, starting with my favorite side, STUFFING!!! (Yes, yes, of course I’ll let you use any challah. 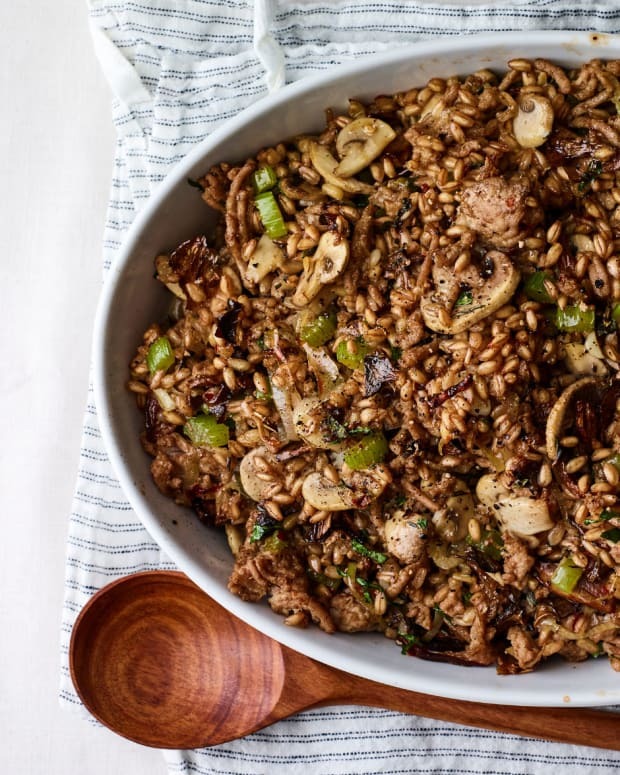 It doesn’t have to be all whole wheat. You can mix and match whatever challah or bread you have in the house.) The beauty of this is that you don’t have to waste leftover Shabbos Challah. 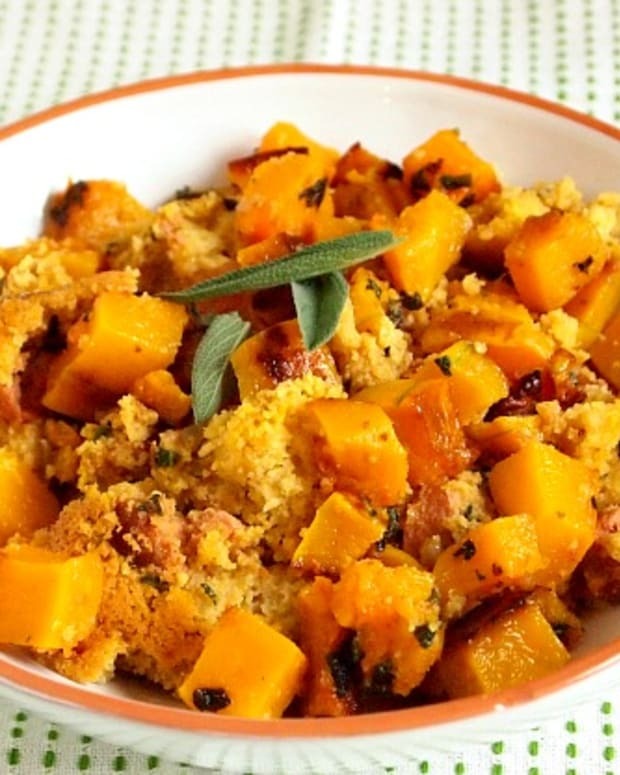 You can turn it into a delicious stuffing and none of your guests will know that you’re using old bread! 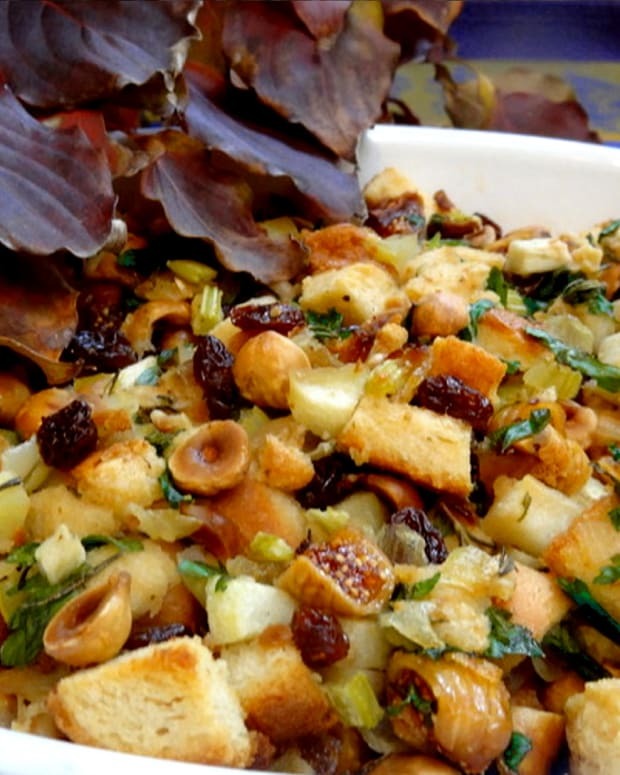 In fact, slightly stale bread is best for stuffing. You want it to be a little dried out. Oh, how I love stuffing. I love it better than the bird. And with the chestnuts, cranberry, and sage in the first recipe or the apples and dates in the second one you simply cannot go wrong! I adore the boost mushrooms give to my stuffing, but not everyone shares my enthusiasm for them, so I sometimes go so far as to make two batches -- one with, and one without mushrooms. Because it&apos;s what&apos;s in the bird that counts! 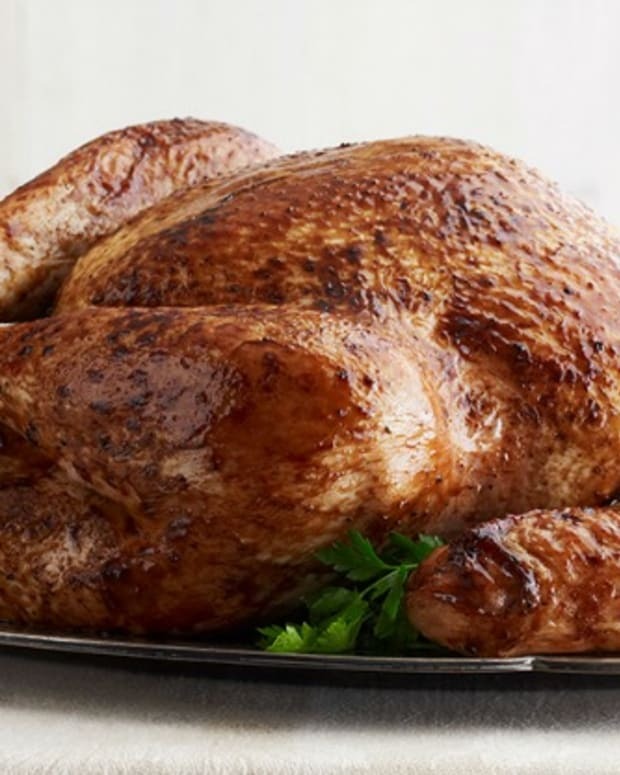 Here are seven more recipes that will beat the stuffing out of the out of the box variety and might make your turkey jealous! 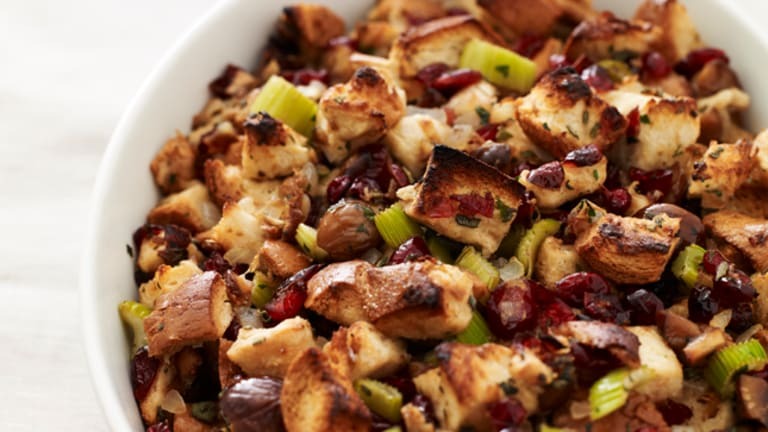 Mollie Katzen&apos;s Smart Harvest Stuffing, Apple Sage Sausage Stuffing, Cumin Pumpkin Bread Stuffing, Challah and Whole Wheat Stuffing with Cherries and Chestnuts, Mushroom Stuffing, Vegetarian Soyrizo Stuffing, Gluten-Free Stuffing. 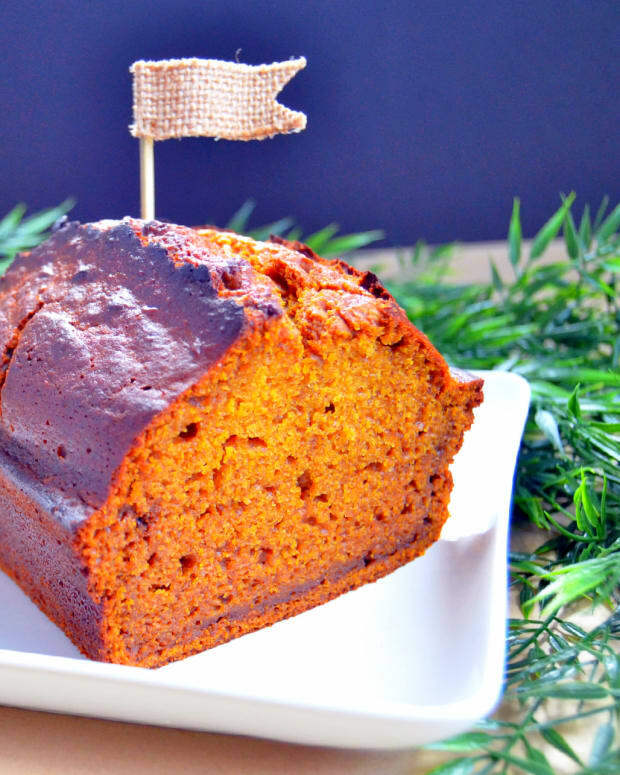 For the rest of your menu take a look at these sweet and savory kosher Thanksgiving recipes when planning your menus.